TONIGHT: Mike Pence To Headline Fundraiser For US House Candidate Brother At Trump's Washington Hotel - Joe.My.God. Vice President Mike Pence is headlining a Wednesday evening fundraiser for a 2018 candidate he knows well — his brother, Greg. The vice president will host a donor event for Greg Pence at the Trump International Hotel in Washington. 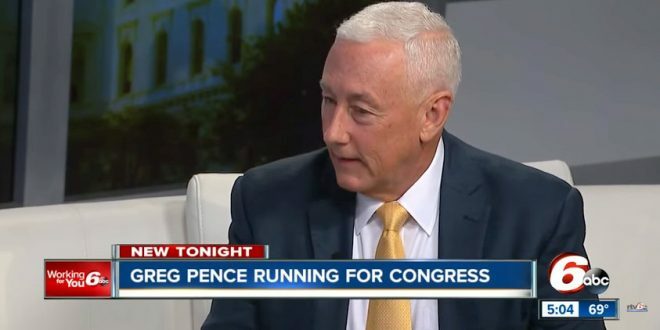 Greg Pence, a businessman and Marine veteran, is running for Indiana 6th Congressional District, which Mike Pence held prior to becoming Indiana governor in 2013. The fundraiser is expected to raise around $300,000, according to a person close to the vice president.